The spring selling season is about to begin! Many sellers are wondering if 2018 will present the same strong selling conditions that we have seen in recent years. Our answer is a resounding YES! The buyer activity in Squamish is only being tempered by the lack of listings on the market. 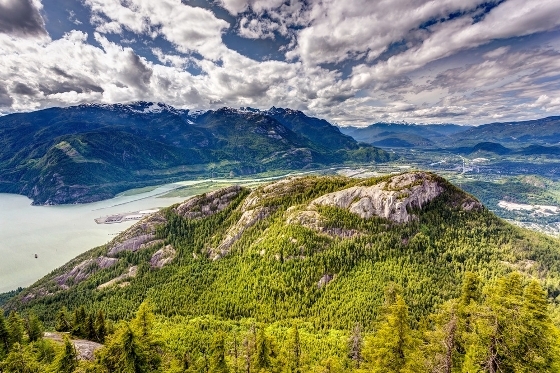 Squamish is booming and homes like yours are in top demand! Here are 7 Squamish Real Estate Stats that will make you want to sell this spring and why we are your Squamish real estate team of choice. This is a whole lot of additional equity in your home if you owned before 2015, and even if you bought afterwards, prices have continued this upwards trajectory even in the last 12 months. For the average single-family home this means an increase of $457,207, $419,500 for townhome owners, and $201,400 for condo owners. Spring is the selling season. If you’re looking to get maximum price for your home, then it’s best to sell it between March and June. The percentage of original price is a ratio used to determine the percentage of the original list price which a home sells for. Looking at historic data for Squamish, this ratio is right around 100 percent between the March and June period for the last three years. Meaning most homes sold right around asking price. In Spring 2017 there were 316 home sales in Squamish between March and June, the four-month period between September and December saw about half of that. One obvious reason is more people list their homes in spring, but buyers know that spring is the time to buy and this is when the majority of the activity happens in the market. Although interest rates are still historically very low, they are on the increase, and this could impact property prices in the medium to long term. Only yesterday (January 17th) the Bank of Canada raised rates by another .25 percent. With the Bank of Canada projecting continued inflation and rate rises over the next few years, the impact on buyers and property prices is unknown. What is known is currently there is tremendous demand for Squamish property and prices haven’t taken a hit by the recent rate changes yet. Property sales are one metric that proves this but when we look at page view data from our buyer’s website www.movetosquamish.ca it’s clear that there is peak traffic of interested buyers during the spring selling season. The sales/active ratio or market absorption rate is one indicator of the type of real estate market present. According to this ratio anything above 20 percent is a seller’s market, anything below 12 percent is a buyer’s market and anything in between the two is considered a balanced market. For the last three years this ratio has been greater than .30 percent during the spring selling season (it went up to .47 last May) meaning the market is substantially in favour of sellers this time of the year. These stats support the fact that spring really is the time to sell in Squamish, and after three stellar spring seasons in a row, some sellers are wondering if 2018 will bring the same favourable conditions. If you’ve been wondering if you should sell this Spring, here are 7 reasons why it is time to do so. Favourable selling conditions like this won’t last forever but they are here right now, if selling is something you’re considering then please reach out, it’s time to pre-jump the spring market and begin the process of selling your home! How do I begin the process of selling? - Next, we will develop a custom marketing strategy for your property. This will consider your unique position, goals and objectives, market conditions and unique features of your home. - Now it’s time to get your listing live. We will create marketing materials to promote your property, and leverage our extensive marketing and technology networks skills to launch your home with the biggest market impact possible. - During the period when your home is for sale, let my 30 years of Squamish real estate experience work for you, while at the same time Meghan’s expert marketing skills will expose your home to the most buyers possible through our own website Move to Squamish, as well as multiple other on and offline channels. To learn more about our dynamic real estate team combining top-selling local real estate experience, the most recognized real estate brand in the world RE/MAX, and cutting-edge digital marketing expertise GET A FREE MARKET EVALUATION OF YOUR HOME and let’s begin the process. As we coast into the end of 2017 and as real estate moves into its traditional holiday slumber, many people are questioning what the market will do in 2018 off the back of several big announcements and conditions that will likely affect the real estate industry throughout BC and the rest of Canada. Here in BC we will see the end of limited dual agency, a situation where an agent represents the buyer and the seller in a transaction. Interest rates are expected to continue rising in 2018 and the new stress test on un-insured loans will affect affordability of people with substantial down payments. Affordability will continue to be a trending topic in the new year as we see an evolution towards smaller living becoming the norm. Despite many big changes next year, Vancouver is still forecasted to have the strongest market in Canada with a 2.5 percent growth rate expected in 2018 according to the Conference Board of Canada (CBoC). If you’ve been pondering what the Squamish market will do next year, here are five things to watch for in 2018. Interest rates have been raised by the Federal Reserve Bank three times in the last quarter of 2017 with more rate increases expected in 2018 and 2019. After enjoying nearly a decade of historically low interest rates, these marginally higher rates can feel like a bit of a shock. According to CBC the rate outlook for the coming years has remained unchanged expect about three more rate hikes in 2018 and 2019 before a long-run 2.8 percent rate is reached. Although there was some initial panic about rising interest rates in the real estate industry the sentiment now seems to be expectant with a realization that interest rates are still very low, much lower than previous generations have seen and experienced. It is doubtful that the rate rises to come in 2018 and 2019 will negatively affect the real estate industry, and those concerned about how rising interest rates could affect their loan or mortgage affordability should consult with their lender or mortgage broker for more info. As of January 1st, 2018, borrowers of uninsured loans will need to qualify at the Bank of Canada benchmark rate, or about two points higher than posted mortgage rate. This new stress test will come into place to ensure borrowers are able to afford their loans as we enter a period of rising interest rates and as housing debt is at high levels throughout the province. The new stress test won’t apply to mortgage renewals if borrowers stay with their current lender and will only be mandatorily enforced for federally regulated lenders. For more information on the new stress test and how it could affect the local market see here. Housing affordability will continue to be a trending topic in 2018 as governments around the province work hard to find solutions to the escalating home prices in BC. Although the market is expected to steady in 2018, prices will continue to rise as new inventory becomes a priority along with new housing models that offer below market rents and opportunities for new buyers to enter the market. We will continue to see an influx of buyers in Squamish who are fleeing the Lower Mainland in search of more affordable housing. This will continue to push up prices here in Squamish as we’ve seen over the last few years. Expect sustained demand at the lower end of the market (condos and townhomes) as young buyers seek affordable living here in Squamish. The forecast for the condominium market in 2018 according to Price Waterhouse Cooper is that it will perform the best in the year to come. Attracting young professionals with a live-work-play lifestyle and retiring boomers looking to downsize, both ends of the market are now seeking a condo lifestyle. Single family residential will still see growth in 2018 however affordability is affecting British Columbian’s ability to buy new homes. A norm throughout Canada is the construction of multi-family over single family with two thirds of all new homes built today being multi-family while in the mid 2000’s this style of housing made up less than half of new construction. If you have any questions about the real estate market coming into the New Year, are wondering if now is the time to sell, or are hoping to buy into the Squamish market we’d love to chat. With 30 years of experience in the local real estate market we are always happy to chat real estate and answer any questions that you have, contact us today. The days are clearly getting shorter and darker, it’s hard to ignore we are heading into winter and what’s typically the slowest real estate season in Squamish. Despite real estate activity slowing down in winter, it actually proves to be a good time of year to buy and sell, depending on your position and what forecasts you listen to about the year to come. As I discussed in last month’s market update, as of January 1st a new stress test comes into affect which will require borrowers of uninsured mortgages (mortgages with more than 20 percent down-payment) to qualify at higher rates. This will affect affordability and could possibly slow down the real estate market this spring. January is historically the slowest month of the year for sales, followed by December. The market picks up quickly in February so January is a great month to get the home ready for sale, and listed for the Spring market. December is traditionally the slowest month for new listings on the market, for buyers this means not a lot of activity however when something does get listed it tends to get a lot of attention, and properties that have been on the market all Fall can often be negotiated down in price. Sellers may not need to compete with flurries of new listings this time of the year, and new listings are often met with eager and qualified buyers (especially this year, with many buyers worried about what the new stress test and what it will do to affordability come January). Median sales prices are continuing on an upwards trajectory, and seasonality does not affect this. Although prices tend to make their biggest jump in the spring, prices in winter are still stronger than fall and summer. For example, this year prices have increased 7.5 percent between June and October, and the biggest jump in median sales price happened between September and October alone. We are seeing this consistent trend across all property types. The sales-to-active ratio, known as the market absorption rate which signifies whether it is a buyer’s or seller’s market, is tipped in favour of buyers during the winter months. The only time of the year in the last three years that the market was considered ‘balanced’ or slightly in favor of buyers was between October and January. A balanced market is considered when the ratio is under .20 (anything above is a seller’s market). We are consistently seeing the trend of a balanced market during winter months then spiking to a seller’s market after February. So far for the month of November we’ve had 34 new listings, 19 price changes and 26 sales. Squamish is still more in-demand than ever with lots of thirsty buyers looking for that perfect property to come on the market. For buyer’s nervous about the new stress test, now is the time to buy without having to qualify at higher mortgage rates. Sellers, there are plenty of qualified buyers ready to go, waiting for the perfect home to appear. Don’t let the slow stigma of winter prevent you from taking real estate action this season. Affording a home is about to get more challenging with new mortgage lending measures announced by the Federal Government. In summary, as of January 2018, borrowers of uninsured mortgages will need to qualify at the Bank of Canada’s five-year bench mark rate instead of the current posted mortgage rates. Last year a similar stress-test was passed for insured mortgages (these are mortgages with less than a 20 percent down payment), but now even those with a substantial down-payment will need to qualify at this higher rate. For a full overview of the changes see here. With rising interest rates the government wants to put measures in place to ensure borrowers are able to re-pay their mortgages even in an increasing rate environment. This change is meant to safeguard borrowers from borrowing more than they can afford. Implications could include greater challenges for first-time buyers who now need to qualify at the higher rate. These buyers may need to re-adjust their housing expectations or seek alternative areas to purchase property. There are still first-time buyer programs in place to help first-time buyers such as the BC Government Home Equity Program and the First-time Home Buyer’s Program (see details on these programs here). To give you an idea of the impact of this change (according to Ratehub.ca)- take the case of a young Vancouver couple with a combined household income of $100,000 and a 20 percent down-payment looking to borrow money. Based on their income, deposit amount, a 25-year amortization and a mortgage rate of 2.83 percent this couple would have been able to purchase a home up to $726,939. This would afford them a one or two-bedroom condo in Vancouver or the North shore, or a brand three-bedroom townhome in Squamish. With the new measures in place this same couple will need to qualify at the Bank of Canada benchmark rate which is currently 4.89 percent or else two basis points above their intended rate (4.83 percent). By needing to qualify at this amount even with the same down-payment, amortization and offered interest rate (2.83 percent), they will only be able to afford up to $570,970. Now their looking at a one-bedroom condo somewhere in Vancouver and possibly a two or three-bedroom condo or older townhome in Squamish. It is still unclear if provincially regulated lenders such as credit unions will adopt these new rules. Since this is a federal initiative, only the major federally regulated banks must implement this new stress test. Borrowers refinancing with current lenders will not need to undergo the stress test however with 45 percent of all mortgages uninsured the new mortgage rules are expected to impact one in every six mortgages according to the Financial Post. So what will this do to the real estate market in Squamish? The Royal Bank of Canada is expecting an influx of borrowers during the last few months of 2017 who want to avoid qualifying under the new scheme. After January the predictions are that the market will likely cool in wake of this new announcement. For places like Squamish, it could heighten demand as more buyers are forced to seek outside of the city for affordable housing. If you’re a buyer and are worried about how this new rule will affect you it is advised to speak to your lender or mortgage broker. If you would like to buy a property before the change, contact us for more information. It’s fair to say Squamish is currently experiencing a condo frenzy. Since the beginning of the year condo sales prices have increased 40 percent. This past weekend alone two condos that hit the market were sold in 24 hours with multiple offers. There are simply not enough condos on the market to keep up with the demand for them. As single detached homes and townhomes creep higher and higher and are now too expensive for many, condo lifestyle is becoming the new norm for buyers moving to Squamish. Unfortunately for now, there are slim pickings in the condo department. With a limited supply of older re-sale condos, and very few new condos on the market, buyers are left bidding for the limited stock for sale. The good news is there is a boom of new condo construction happening in Squamish right now with three projects going on sale this month alone. The bad news is that completions on these projects are at least 1.5-2 years away, meaning those that want to secure and live in a brand new condo in Squamish will need to wait. So what is coming up soon? This weekend The Lauren goes on sale. This development has attracted some attention, especially from investors, with prices starting in the high $200Ks. It’s been awhile since Squamish has seen any prices this low. Because of the excellent value, these will likely get snapped up by investors with little to be left for the everyday buyer. If you want to secure one of these, contact us immediatly. Later this month The Vantage will also go on sale. This is the old medical building by Shoppers Drug Mart in downtown Squamish which will transform into a modern, European-designed mixed commercial residential building with an indoor courtyard and contemporary features. One bedrooms are starting in the low $300ks, two bedrooms in the mid $400ks and three bedrooms in the high $500ks. This project is expected to complete summer 2019. Reserve an appointment to secure your Vantage condo. The Amaji is another condo development that will launch pre-sales this month. Featuring one and two-bedroom condos and located on 2nd Ave, it will be in the heart of everything downtown Squamish. 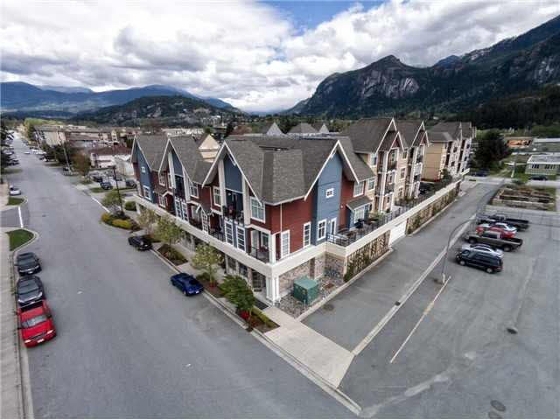 Currently (as of today) there are 23 condos on the market in Squamish displayed on the MLS (many of these have recently sold or have accepted offers). Only 11 condos came on the market in August compared to 19 in August 2016. There were 54 condos total for sale in August 2016 and last month there was a mere 20. With the District of Squamish pushing density, this will be a housing type we will see much more of in the coming years. If you own a condo and are hoping to sell, there has never been a better time! Your condo is very much in demand and you’ll likely be rewarded by a strong sale price and a lot of interest. If you are buying it is important to stay diligent. Make sure you have your mortgage pre-approval in place and are signed up for new property alerts. Work with your agent to stay on top of new listings, and be prepared to make a strong offer when something you like comes on the market. So far this September we have seen 46 new listings, 11 price changes and 24 sales across all property types. All signs are pointing towards a busy Fall real estate market. Make sure to contact me or Meghan with any questions about buying or selling this season. The annual ebbs and flows of the real estate market follow a similar rhythm each year, and although the magnitude of this rhythm is hard to predict, the occurrence of it is almost innate. The Spring real estate market is the most active time of the year. From about February onwards listings begin to surge, an increase of supply is met with a rush of demand, and sales prices go up. In the last few years the Squamish Spring real estate market has reached a new magnitude, prices have sky-rocketed, sales have been at record numbers and days on the market have been few. In real estate world, the Spring market is certainly BOOM-time, the busiest season of the year. The Spring market typically begins to slow down in June, almost exactly at the same time as the kids are out of school. Though we have still had a pretty active summer for real estate in 2017, historically speaking, compared to Spring, the summer takes on a much calmer pace. New listing activity dies down, buyers have more time to shop around, and prices remain relatively stable. It isn’t until the end of summer when activity starts to pick up again, this is like the real estate echo. Those who want to sell but didn’t make the spring market will likely try selling their home late summer/ early fall to nab a sale before Christmas. Buyers too anticipate an uptick of activity around this time and are eagerly awaiting a property deal to appear now that the crazy Spring market is behind them. This surge in real estate activity usually only lasts September and October before the market goes idle through the winter months in anticipation of the next big Spring boom. So what does the real estate boom and echo affect mean for buyers and sellers? The late Summer/ Fall market provides a great opportunity for both sides of the deal. For sellers who missed the Spring market and have been holding off for the Summer, increased buyer activity after Labour Day means you’re more likely to get a quick deal and a strong price for your home. Buyers can revel in the additional listings that come on the market this time of year, without the sometimes frenzied pace of the Spring market. So far this August we have seen 45 new listings on the market, 48 sales and 18 price changes. In the last week or so buyer activity seems to be picking up and we are anticipating a busy market again after Labour Day. If you’re thinking of selling your home this Spring contact us for a free home market evaluation. Alternatively if you are hoping to buy, let us help you find the perfect home before Christmas. The Squamish real estate market seems unstoppable right now, and it will be interesting to see what the impact of the Bank of Canada’s interest rate rise will have on the market, if any. On July 12th the Bank of Canada increased interest rates by .25 points with RBC’s Chief Economist Craig Wright indicating a turning point to a longer-term trend of rising rates. The last interest rate rise in Canada took place seven years ago in 2010, and since then we have enjoyed historically low rates resulting in cheap lending. As you can see from the graph above, the 2010 interest rate rise was only incremental, and rates stayed stable between 2011 and 2014, before they started dropping again in 2015. Compared to previous years, this was a minor rate change that took place as a result of post-GFC inflation. 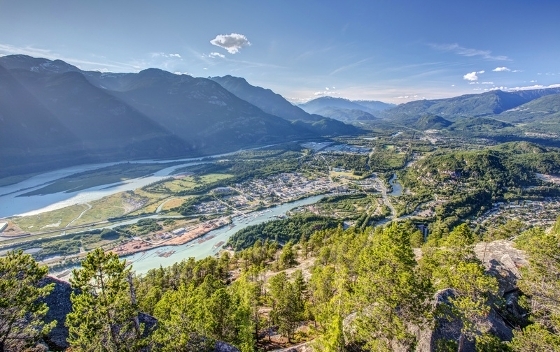 The Squamish property market followed a similar trajectory as the interest rates, with the property market steading between 2009 and 2014 before picking up pace in 2015 around the same time rates began to decline. Do the increased interest rates mean the property market in Squamish will slow down? It is hard to tell. As a real estate agent (and not an economist) I know that higher interest rates do affect the market as the cost of borrowing increases. The price of Squamish homes and resulting household debt make a rising interest rate environment seem a bit scary; however, if we look back to the interest rate levels pre-2010, what we are seeing right now is almost insignificant. Although rates are expected to continue in an upwards direction into 2018 they are not expected to rise as drastically as they have in the past. The recent rate rise may stimulate the market in the short term as people wish to lock in low rates knowing they will likely be rising. Despite the .75 point increase the interest rates are still historically low and many big banks absorbed the speculative rate rises weeks ago. People with current fixed term mortgages will not be affected by the rate change until they refinance, and those wishing to obtain a new mortgage should consult with a mortgage broker or lender to determine their best course of action. It is expected the next rate decision will be made on September 6th. June stats are in for Squamish and the end of Spring/ early summer is outpacing 2016 for total dollar volume sales, number of sales and average home prices. Last June the total dollar volume sold in Squamish was $36,418,700 (dropping off significantly from May which totaled $62,031,100). This June total dollar volume was $47,016,300 showing a much more active market heading into summer. Sales support this trend too. Sales dropped from 95 to 57 between May and June 2016 while this year there was a smaller drop; 98 to 66. New listings remained the same between June 2016 and June 2017 (104 each), and days on the market is slightly greater in June 2017, 25 compared to 22. So far this July we have seen 38 new listings, 12 price changes and 28 sales. For more information on the Squamish real estate market, and to buy or sell this summer, make sure to contact me. Each season I like to look ahead and make some predictions about what the property market will do over the coming months. As Spring was approaching I had predicted increased demand for condos and townhomes, a healthier supply of properties on the market, and continued price gains (but not as drastic as 2016). These predictions did manifest and between March and May 2017 we saw sales of townhomes and condos make up 53 percent of total sales in Squamish while making up 49 percent of sales during this period in 2016 (this data, in most cases, doesn’t include new construction which would tip the scales more heavily in 2017). Inventory in spring this year also maintained a healthier supply than 2016. Total inventory across all property types averaged 157 in Spring 2016 while in 2017, the inventory on the market for the same period was 207. Price gains also continued in spring 2017 but as predicted we did not see the same level of increase as the market experienced in 2016. Across all property types the year-on-year median sales price gains between May 2015 and 2016 was 31.8 percent, while gains between May 2016 and 2017 were 2.4 percent. Looking forward to summer I am predicting an active real estate market over the coming months. Halfway through June and we have already seen 55 new listings come on the market and 34 sales. This is pacing similair to last year and for the entire month of June 2016 there were 57 sales and 104 new listings. In July 2016 the real estate market reacted to the shock of the Foreign Buyers Tax. As consumer and investor confidence dipped the market stalled until late Fall. Disruptions such as this are not expected to affect this summer’s real estate market, and buyer and seller sentiment remains strong. Prices will steady this summer and create optimal conditions for buyers as inventory remains at a good level (though still below long-term averages). Although the Squamish real estate market is still tipped in favour of sellers, historically summer presents a better market than spring for buyers especially when there are plenty of properties on the market to choose from such as now. 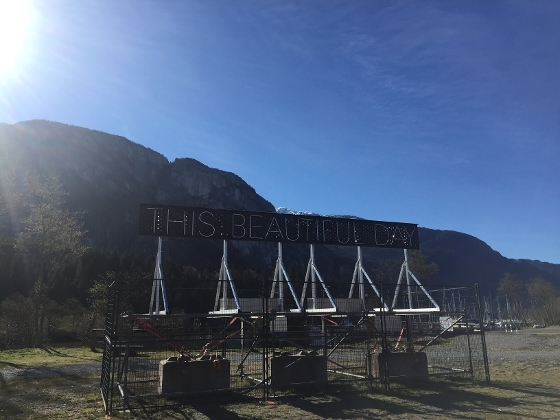 Summer remains a great time of year to sell as the Squamish backdrop makes any property dazzle and the additional out-of-town traffic who are here to experience the adventure that is Squamish also bring with them a curiosity about what it is like living here. If you’re looking to buy or sell this summer, make sure to reach out and we can discuss your real estate plans over the coming months. Every real estate agent wishes they had a crystal ball that would predict property trends. I have been selling real estate in Squamish since 1988 and never fail to be surprised with our local Squamish market. Since a crystal ball isn’t possible the next best method of determining the likely direction of the market is looking into the past. Analysing real estate trends and data give us some of the picture, and understanding the economic, political and regulatory landscape surrounding the market can help decipher some of the rest. There will always be a piece of the real estate predication puzzle that can never be solved. Many would have never predicted the global financial crisis a few years before it happened, especially not its impact on property markets all around the world. Macro factors such as interest rates, industry changes, economic conditions, consumer confidence, global issues etc. all effect the real estate industry. Based on data and by examining three important metrics, we look at Squamish’s real estate past to predict the future of the local housing market. Sales prices have been trending upwards since 2005 with a slight dip between 2010 and 2013 due to the GFC, and a strong recovery starting in 2015. Between 2015 and 2016 sales price for detached homes increased 31 percent, townhomes 24 percent and condos 39 percent. Price increases, although still impressive, are now beginning to ease. Between 2016 and 2017 sales prices went up 20 percent for detached homes, 12 percent for townhomes and 14 percent for condos. This is showing a stabilization which will likely continue for the next few years. With new construction being built, lack of affordable housing and possible interest rate rises, there is a good chance sales prices will steady for the short-medium term. Days on the market signifies the demand for property at a particular period of time. Looking back 12 years ago, days on market were as low as they are now. Around 2008 homes began to sit on the market for longer, peaking in 2012 before the market made a strong recovery in 2015 and homes began selling quickly once again. We are now seeing detached homes stay on the market for longer due to their higher price point, while condos are not staying for sale long (this is a reverse of 2015). This trend is expected to continue while prices remain high, and as the market begins to steady days on the market will increase for all housing categories. While days on the market tells a story about demand, total inventory tells the story of supply. Inventory peaked around the time of the Olympics, when assumedly many people believed it was a good time to sell. Inventory levels stayed high until 2012, at which point they started to deplete. Our inventory levels are now around what they were pre- GFC and are creeping back up to more moderate levels. The demand for properties at the bottom end of the market is draining condo stock, while detached homes are accumulating on the market longer as many people are being priced out of the single-family home market. As new developments help alleviate the shortage of affordable housing, and as people seek more affordable markets elsewhere, expect more inventory on the market over the next few years. More questions about the Squamish real estate market? Make sure to contact me about buying or selling in Squamish this year. With nearly 30 years of expertise and as a top performer in the local market, I have the experience, knowledge and know-how to represent you in today's market. We are in the midst of a busy spring market and the popularity of Squamish real estate is going from strength to strength, despite a slowing down of Vancouver’s market to the south. 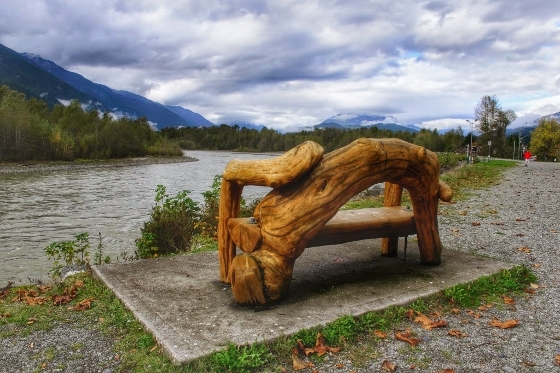 So what are the best performing housing categories in Squamish? What property types are most ‘in-demand’, and where can deals be found? Here we look at condos, townhomes and detached single family homes in Squamish, and how they are performing in the current market environment. The average sales price of a Squamish condo in March was $344,000. This is up 9.2% from March last year, and 43% from March 2015. The average days on the market of a Squamish condo in March was 12, this was down from 100 days in January, and similar to March 2016 where the average days on the market was 11. Total inventory of condos has been dropping steadily since November 2016 which peaked at 67 condos on the market; in March 2017 there were only 24 (compared to 58 in March last year). Condo sales are down from this time last year, mainly due to the lack of inventory. New inventory of condos in Squamish is limited. 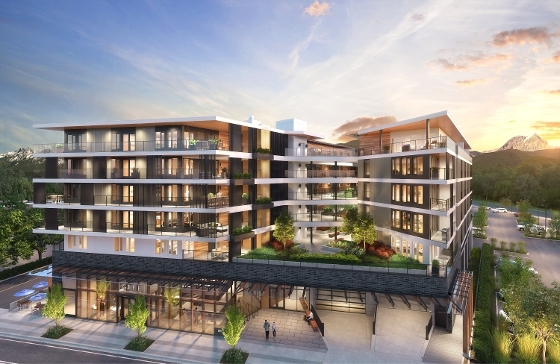 The Main, located in downtown Squamish, is nearly sold out, and Sirocco and Skyridge’s Skysuites have not announced pre-sale dates. As the Squamish real estate market becomes more expensive, and as first-time buyers receive government assistance with down-payments, we will continue to see condos being highly sought after and sell quickly until new developments begin to replenish stock. Squamish is seeing a surge of new townhomes come on the market, which may help stabilise property prices in this category, although we are not seeing proof of this yet. The median sales price of a townhome in March 2017 was $584,450, up 16 percent from March last year. Townhome inventory surpasses condos, with 53 on the market in March. Because of this days on the market are greater, averaging 32 days in March, giving buyers more choice when it comes to shopping around. Townhome sales remain similar to last year at 18 in March, although for the most part, this does not factor in pre-sales of new developments. Projects like Summits View, Soleil, The Breeze and Skyridge are bringing much needed townhome inventory to Squamish. With completions starting late 2017, and more townhome projects coming up, there will hopefully be some stabilization of prices in the near future. Prices of detached single family homes have been on a sharp upward trend since 2015. In March 2017, the median sales price of a single-family home in Squamish was $952,000, up 13 percent from March 2016. Unlike condos and townhomes, there is little in the way of new inventory coming on the market, and besides Ravenswood, there does not appear to be much in the way of land or new developments happening in the near future. That being said, resale inventory is strong with 119 listings on the market in March, compared to only 66 listings the same time last year. Homes are selling for on average of 96.3 percent of the list price, which is lower than condos and townhomes which are at about 99 percent. There were 30 sales in March 2017 compared to 34 in the same month last year. As you can tell by the numbers, no matter what property type you’re looking at, the real estate market is hot in Squamish. The robust real estate market is staying strong even with the additional inventory coming on, and will likely remain this way as more projects commence in the next few years, fronted by the Squamish Oceanfront project (Newport Beach) which is securing 20 years of development on Squamish’s Oceanfront peninsula making way for a further 6,500 residents in this community. If you’re wondering when is the best time to buy or sell, it is now! For buyers, prices are continuing to climb, there is plenty of inventory on the market so if you’re able to buy, don’t wait. Sellers are seeing healthy levels of appreciation and can be confident about getting a strong sale price for their home. So far in April we’ve seen 41 new listings, 9 price changes and 41 sales. If you have any questions about the Squamish real estate market, or are thinking of buying or selling in Squamish, make sure to contact Nanci Fulton today. I am hearing many people ask the question, “are we likely to see a similar spring real estate market as last year?”. If you’ve forgotten what happened last spring or weren’t here to witness it, we saw sales prices increase up to 30% in some neighbourhoods, multiple offers became the norm, and inventory got to record low levels. These frenzied conditions simmered down in summer, and the rest of the year regained a normal pace; however, many are wondering if we are likely to see a repeat of spring 2016. Will sellers experience market conditions as favourable as last year? Will buyers finally get a break? Let’s look at the data. The average sales price in February 2016 was $638,372, this has increased 1.8% to $650,022 in February 2017. When we look at Vancouver the sales price has actually decreased 10% year-on-year. Spring is the time when people like to put their homes on the market. It appears we are slightly behind pace with new listings this year. Between January 1st and March 15th last year there were about 220 new listings that came on the market. This year, we are pacing slightly behind at around 206. In March 2016 there were 115 new listings that came on the market, half way through March 2017 and we have 57, slightly under. Although new listings are down our overall inventory is actually above last year. In February 2016 there were 134 total listings, February 2017 there were 197. We saw a significant drop of days on the market between January and February this year. In January 2017 the average days on the market was 64; this dropped to 24 in February. Homes are still staying on the market longer than they were last year. In January 2016 the average DOM was 27, this dropped to 16 in February. Sales transactions are down from last year. In February 2016 we saw 64 sales, there were 20 less sales in February 2017. So far in March we have seen 31 sales (half way through the month), March 2016 had a total of 87 sales transactions. We will and are seeing an upswing of activity following the usual spring trend. We are unlikely to see the market pick up to the same pace as it did last spring. There are several variables that account for this. The Vancouver market has cooled, giving buyers in Metro Vancouver some reprieve enabling them to enter this market instead of seek more affordable markets elsewhere. Prices have increased and the Squamish market is now unreachable for some buyers. The lending environment is tightening meaning mortgages aren’t as plentiful as they have been in the past. These balanced market conditions are favourable for both sellers and buyers. Sellers are seeing strong prices, above this time last year however are unlikely to see multiple offers as frequency as we saw last spring. Buyers have plenty more inventory to choose from, lots of new projects, and therefore can be more selective with their purchase. For those seeking more information about the Squamish real estate market, or are looking to buy or sell, you can contact me at nancifulton@shaw.ca. February Market Update- A Great Start to 2017! 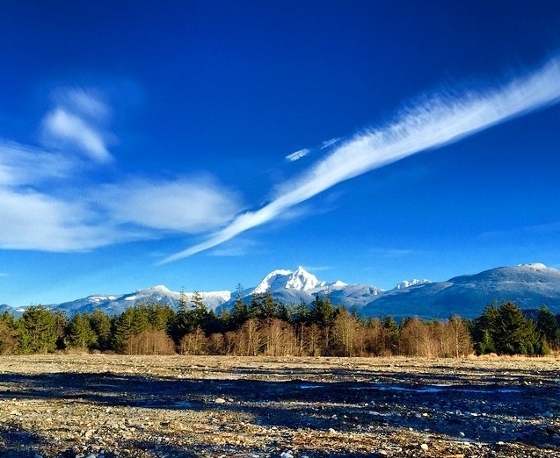 Half way through February and it’s been a great start to the year of real estate in Squamish. What makes it so great you ask? We start the year with balanced market conditions, plenty of inventory for sale and a more relaxed paced to the market compared to last year. In January 2016 we started the year with a mere 113 listings on the market compared to 210 listings in January 2017. The sales to active ratio, which indicates a buyer’s or seller’s market, was .25 percent in January 2016 (and rose to .64 percent in April 2016). In January 2017 the ratio was .17 percent, indicating a balanced market, favourable for both buyers and sellers. A seller’s market is anything over .20 percent while a buyer’s market is anything under .14 percent. Property prices remain strong and according to the MLS HPI Price (which measures the rate that housing prices change over time), home prices have increased 28.3 percent since January 2016. There is a strong demand for well-priced properties, especially homes with suites, suite potential, and condos and townhomes under $500K. With plenty of inventory on the market, including new developments and re-sale homes, there is lots to choose from in Squamish! The balanced market means buyers have more time to find that perfect property. In January the average home sold for 95.3 percent of the original price, this indicates some room for negotiation. The current real estate market is positioned for a much more reasonable spring compared to last year, this however can change in an instant, we only have to look at sales last year which jumped from 28 in January to 99 in April. The Squamish real estate market does mirror Vancouver’s to some degree (read here to see just how similar the two real estate markets are), and many experts are predicting a continued decline of sales and a slight correction to property prices in Vancouver as the price heights of 2016 were at unsustainable and unaffordable levels. As we saw last year, many buyers were pushed out of Vancouver and turned to nearby markets like Squamish, this trend is expected to continue in 2017. So far in February we have seen 47 new listings come on the market, 9 price changes (mostly down) and 25 sales. Stay tuned to the next market update in March where we will have a clearer picture of what the Spring real estate market will bring. As always if you’re thinking of selling in 2017 I’d be happy to provide you with a free, obligation-free market evaluation of your home. 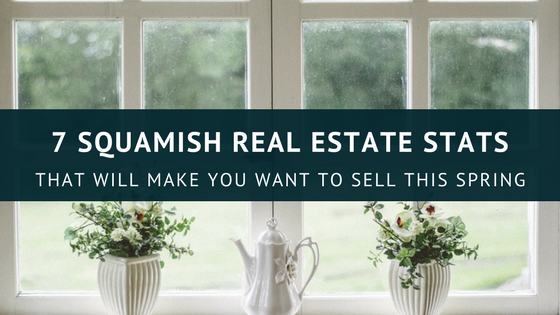 If you’re looking to buy in Squamish, I can keep you posted with the latest listings that meet your requirements, and represent you during the real estate process. Contact Nanci Fulton today. Welcome to 2017! I hope everyone had an excellent Christmas holiday and is ready for a promising year ahead. Real Estate predictions for 2017 range from continued growth at a pace similar to last Spring to full on bubble bursting prophecies. Although our real estate market does mirror Vancouver’s to some extent (read on to see how our markets compared in 2016), there are a few things isolating us from anywhere else in BC, here are the top 5 reasons I believe the market will be hot in 2017. Population growth- Squamish’s population growth is one of the strongest in the Province (growing at around 12 percent per annum). This is fueled by a migration of people from the Lower Mainland who can no longer afford the market and who are seeking a life of recreation and adventure here in Squamish. It’s a simple supply and demand issue. The demand for real estate from our current population coupled with people moving here is in excess of the current real estate supply available. Low rental inventory- Squamish also has some the lowest rental inventory in the Province. I have heard figures as low as zero percent vacancy. This is turning some would-be renters into to buyers due to the un-availability of rental properties. Some of my renters were forced into buying last year and certainly didn’t regret it. Their new home increased nearly 30 percent in one year. The initial $30,000 equity invested in their home increased to nearly $40,000 in one year. If they would have rented, that $30,000 in twelve months of rental payments (at $2000 per month) would have been more like $6000. No brainer. New developments- If you think the development in Squamish right now is booming just wait. With the Squamish Oceanfront Project (Newport Beach) on track to be finished in 20 years, the next two decades will transform this town even more than we have seen in recent years. Couple this with other projected developments like the Waterfront Landing, Garibaldi at Squamish, Garibaldi Springs and many more, Squamish is only going to become more appealing for investors and buyers over the coming years. Foreign Buyers Tax- The foreign buyers tax was a catalyst for Vancouver’s cooling market, however this tax does not apply for Squamish. The tax could result in overseas buyers looking for areas around Vancouver that are not subject to the tax- such as Squamish. First-time Buyers Home Equity Program- This new program which is in affect as of January 16th 2017 will see the BC government matching first-time buyers deposits of up to 5 percent. This is going to mobile more first-time buyers to take the plunge into real estate and will likely see the bottom end of the market move up due to competition for more affordable properties. For buyers, now is a great time. The market is relaxed and corrected since the heights of Spring 2016. It is likely the market will pick up pace come February/March so if you’re thinking of buying, now is the perfect time (plus there’s lots on the market). For sellers, now is the time to get your home on the market! With a good possibility there will be a surge of buyers this Spring which is what we saw last Spring (so many buyers + not much on the market = strong sales prices and multiple offer situations). If you’re thinking of listing this Spring, we need to talk now. Look forward to crossing paths in 2017! Only two weeks left in 2016 and with many people reflecting on the year that’s passed, we will reflect on the year in real estate. And what a year it was. Squamish is officially in the middle of an unprecedented development boom and real estate market. With so many industry changes such as the foreign buyers tax (which effects Vancouver, not Squamish), new lending rules, and big changes in global politics, there is certainly plenty shaking up real estate this year. Although the Squamish real estate market is showing some correction, we are still seeing strong prices and plenty of sales across all property types. So far in December we have seen 21 new listings, 11 price changes and 24 sales. How about the rest of the year? Total property sales across all property types peaked in April with 99 sales and were at their lowest in January with 28 sales. Since April, sales have been declining with a slight upswing this November. Looking at previous years’, sales paced ahead for the first five months of the year and then dropped below 2015 sales volume levels from June onwards. Sales prices gradually increased as the year went on. At the height of market activity in April the average sales price across all property types was $529,000. This has increased slightly in November to $537,000. In the detached home category, the median price went up $50,000 from April and $140,000 from November 2015. For townhomes, the median price dropped $36,450 between April and November and was also slightly down from November 2015. Days on the market hit a low this year in April with the median days on the market being 11 across all property types. In November, this increased to 36. In November, detached homes were likely to stay on the market the longest (60 days), followed by apartments (52 days) and townhomes (18 days). Inventory is once again starting to climb, the highest inventory (active listings on the market) achieved this year was in November with 251 listings. The last time inventory was so high was in August 2014. Although inventory has been steadily climbing since December 2015, prices are remaining strong. As a Realtor® there is nothing better than a balanced real estate market. Balanced markets present ample opportunity for sellers to get a fair price for their home, and buyers to negotiate on a property that’s right for them. Now that we are safely on the other side of one of the most frenzied Spring real estate markets I have seen in nearly 30 years of real estate in Squamish, many of us Realtors are taking a collective sigh of relief as the market regains a regular momentum once again. So, what are the benefits of this balanced market for both buyers and sellers? Let me tell you. Sales prices have remained strong and well-priced homes are selling quickly. The days of putting any price tag on your property and watching it sell are over for now. That being said, sellers can expect getting 21% more for their home compared to this time last year. That’s an additional $120,000 for a $600,000 property- not bad gains in 12 months. Yes, you are paying more to buy property in Squamish than you were a year or two ago. Compared to Spring however, prices are more reasonable, there is more room to negotiate and there is time to find your ideal property. The market does appear to be correcting, with prices trending down slightly so there is less pressure to secure your home. In October the average home was sold at 97.4% of list price, in March and April 2016 properties were being sold at 100% of list price. Another positive for buyers is the added inventory coming on the market. There are several new townhome development presales happening, condo projects about to launch and new construction of single family homes too. There looks to be a good twenty years of strong development in Squamish led by big projects like Newport Beach (Squamish Oceanfront Development). This correction in the market may be a good opportunity for buyers to get in, with nothing but strong growth predicted for Squamish’s economy and property market moving forward. So as a Realtor®, these are my favourite market conditions. So far in November we have seen 47 new listings come on the market, 17 expired listings, 27 price changes (mostly going down), and 24 sales. If you’re looking to buy or sell, now may be the perfect time. While I can’t predict what the future holds for the local real estate market next year, there is no time like the present to negotiate on that property you’ve been watching, or to take advantage of the increased value of your home by selling. October Real Estate Market Update- Is Squamish following Vancouver? Property sales are a good indicator of how active a market is. In the height of the property market this March, Vancouver recorded 5196 sales. 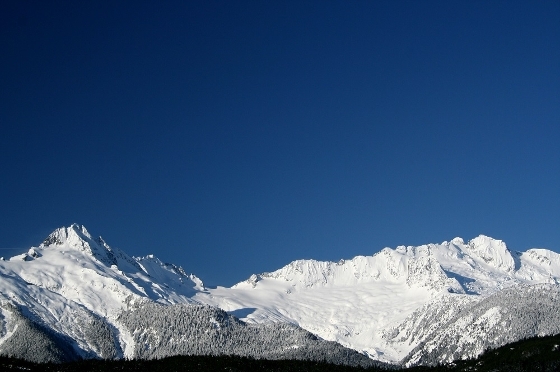 In the height of Squamish’s market, which occurred in April, it recorded 99. The decrease in sales from the height of the market to September has been 55% for Vancouver and 58% for Squamish. Verdict- Vancouver and Squamish are comparable with regards to the decrease in property sales between March and September. Sales price has been the metric receiving the most shock and awe in recent months. Between March 2015 and March 2016 average sales prices jumped 19% in Vancouver and 17% in Squamish. So what have the sales prices been doing lately? Although Vancouver saw a sharp dip in July, the average sales price in Squamish has remained relatively stable dipping ever so slightly from the heights of July/August. At the end of 2015, listings were a scarce commodity. 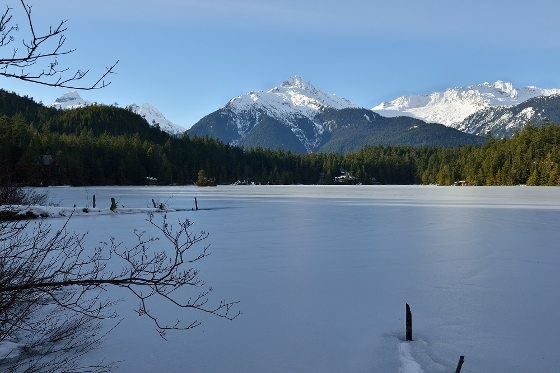 In December 2015 there were only 15 new listings on the market in Squamish compared to 115 new listings which came on the market in March 2016. In the graphs below you can see Squamish and Vancouver are following a similar trend with listings. This trend is also showing a regular seasonal tendency, with the bulk of listings coming on the market in Spring, a lull during summer and then a small momentum shift in the fall before listings generally quiet down around Christmas. Days on Market (DOM) indicates property market activity. The fewer days on the market the quicker properties are being purchased. The more days on the market the more likely price reductions and expired listings will occur. In March the average days on the market of a property in Vancouver was 9, in Squamish it was 14. Here is what DOM has been doing in recent months. Although Vancouver has remained relatively steady with regards to days on the market, Squamish has seen a rapid rise of DOM. For seller’s this means they should no longer expected their property to fly off the shelf, for buyer’s this presents an opportunity to take their time before submitting an offer and to submit offers more competitively than they were able to do in prior months. Verdict- Properties in Vancouver are still selling quickly while properties in Squamish are staying on the market longer than they were this Spring. Sales to Active listings is the best metric to assess when determining a buyer’s or seller’s market. The ratio measures a balance between supply and demand and is calculated by the number of unit sales by the number of active listings. Based on this ratio a seller’s market is declared when the ratio is above 20%, and a buyer’s market is declared when it’s below 12%. Anywhere between these numbers the market is said to be balanced. Here is what the sales to active listings ratio has been doing in Squamish and Vancouver recently. As you can see, both Squamish and Vancouver had very clear seller’s markets this Spring. According to the ratio, Vancouver still has a slight seller’s market with a ratio of .23 in September while Squamish dipped to .17 showing a balanced market for the first time since January 2015. As the statistics show, the Squamish and Vancouver real estate markets are deeply intertwined. It is clear as we move into winter the strong seller’s markets that were present in Vancouver and Squamish this past Spring are beginning to soften. The balanced market environment is a great time for both buyers and sellers. Sellers can be happy that prices are holding strong although quick sales above list price and multiple offers are far less likely to occur. Buyers can delight in more inventory on the market and no longer need to rush into purchases often facing multiple offer situations. If you’d like more information on the Squamish Real Estate Market or are looking to buy or sell your home this year- please contact Nanci Fulton and Team. September Real Estate Market Update- Are Buyers Getting a Break? The summer is over and the real estate market this September is gaining momentum following the regular summer slowdown. Although we are starting to see listings pick up once again, the market is not presenting the same frenzied pace as it was this past Spring. We’re only halfway through September and there are already 53 new listings on the market; in August there was a total of 70 new listings. So far this month we have seen 18 price changes and 19 sales. Looking back into August the average price in all dwelling categories in Squamish was $623,100. This is an increase of 2.4% from July and an increase of 17.62% from January 2016. Although prices are still staying strong, they are not rising at the rapid rates that they were earlier this year. The average days on the market in August was 28 days, this is up from 11 days in April meaning we are not seeing properties snapped up as quickly as we were this Spring. Sales have also halved since the height of Spring with 47 sales in August compared to 99 in April. Without a crystal ball it’s impossible to predict with certainty what the market will do; however, key metrics indicate that homes are staying on the market longer and sales are not as strong. This suggests a bit of a break for buyers who, in the Spring, were competing often in multiple offer situations. With more inventory on the market, several new developments launching pre-sales this Fall, and a more settled pace, this may be a great time for buyers to find their perfect home or investment. There are two new exciting projects launching pre-sales this month. Skyridge, located in the Tantalus area, will be releasing single family home lots, duplexes, townhomes and condominiums. The official sales launch for Skyridge is September 24th. The next phase of Coastal Village will also be launching late September/ early October; prices have already been released and three bedroom townhomes are starting at $499K!!! Soleil follows the popular Aqua phase and will consist of 64 two and three bedroom townhomes. If you are interested in being the first to know when these are released- please contact me. 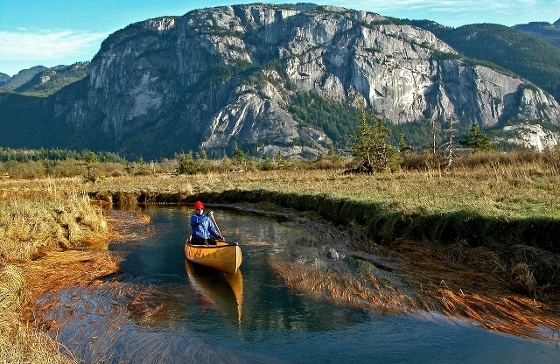 For more development news this September check out a recent update published on Move to Squamish. Real Estate in Metro Vancouver and subsequently Squamish and the Sea to Sky has sure received a lot of media hype over the last six months. Instead of casual conversations about weather, real estate seems to be the dominant go-to conversation piece (and not just for Realtors!). 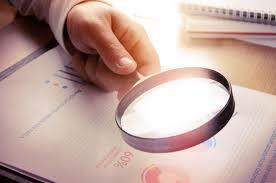 The Provincial government announced it would call an end to the self-regulation of BC’s real estate industry as a way to monitor and ensure ethics and integrity were maintained. After an independent review of the industry, some proposed changes that will come into place include the end of limited dual agency (where an agent represents both a buyer and a seller), and dramatically higher fines for agent misconduct. As of August 2nd, a 15 percent tax will be applied on all transactions of foreign buyers in the Metro Vancouver area (this does not include Squamish or Whistler). This tax will be applied on all purchases, even those where the contract of purchase and sale was signed before August 2nd. A vacancy tax is also in the works for Metro Vancouver after a 2014 study by the City of Vancouver found that nearly 5 percent of all properties in Vancouver were vacant (nearly 13 percent of condos). The details of this tax has not been worked out, but expect it to be implemented in the coming months. While the BC Real Estate Industry undergoes reforms, and the Metro Vancouver Real Estate Market receives a shake-up with the new foreign buyer tax, it is still business as usual here in Squamish. Sales figures for July are in with the dollar volume for sales slightly down from June, and total sales also slightly down. This is following normal summer trends as the real estate market tends to pick up again in September, before quieting down over Christmas and then peaking once again in Spring. So far in August we have seen 26 new listings come on the market, 8 price changes and 20 sales. Looking to buy or sell in 2016 or have questions about the new foreign buyer tax or changes to the BC real estate industry? Make sure to contact Nanci Fulton for all of your real estate needs in Squamish. July Market Update- Is it Slowing or just Summer? Well summer is here, and although you wouldn’t notice it by the weather, the real estate market is showing typical signs of summertime as it quiets down compared to the bustling months of March, April and May. Although some indicators are showing the market quieting; compared to other summers, we are still way ahead of pace. So far in July we have already seen 45 new listings come on the market, 23 sales and 13 price changes. When the kids get out of school and people head off on their summer holidays, the real estate market in Squamish historically takes a breather. This June appears to be no different. For all property types the overall inventory climbed slightly, new listings dipped compared to previous months and sales went from 95 in May to 57 in June. Days on the market also increased from 11 in April, 15 in May and 22 in June. Sales prices continued to steadily increase in the month of June. The detached home market saw the greatest fluctuations from months prior. Sales in June halved from 40 in May to only 20. Days on the market crept up slightly in this category and the sales price remained the same. The average sales price of a detached home in June was $887,500 a whopping $221,500 more than the same time last year. Now is still an excellent time to sell your home and may also be an ideal time for buyers as the market hype may have settled briefly due to summer holidays. Contact me today and let’s discuss your real estate goals and objectives this summer. June Market Update- Check Out The Sale Price Increases! If you live in Squamish, most likely you’ve engaged in a conversation this week about how crazy the local real estate market is right now. Although these conversations may be getting tiresome (and frustrating for many), the state of the current market is newsworthy and the sales prices have soared astronomically in the past year. Driven by factors such as Vancouver’s booming market fueled by overseas investors, low interest rates and a healthy BC economy- the perfect conditions have presented for a strong real estate market in Squamish. New developments coming to town are likely to increase interest in Squamish and could possibly calm the climbing prices. Here we will look at the median home sales price over the last year for the townhouse and detached property market. In January 2015 the median sales price for a townhome in Squamish was $399,900, at this time the average days on the market was 16 and the total inventory was 27. Fast forward to May 2016 and the average sales price is $525,000 (that’s $125,100 more), days on the market has dropped to ten and total inventory to 20. At the beginning of 2015 one could purchase a detached home in Squamish for $555,000 which, at the time, seemed expensive compared to a few years earlier when the average price of a detached home was only $389,000 (2011). In January 2015 the average days on the market was 77 (in May 2016 it was 15), and inventory was 96 homes for sale compared to 85 in May. In May 2016 the average price of a detached home sky-rocketed to $887,450 an increase of $332,450 in a little over a year! So far in June we have seen 43 new listings come on the market, 23 price changes and 24 sold properties. Good news for buyers, we are seeing some price reductions indicating the top of the market may have been reached. Those looking to sell their home only need to look at the numbers to see the value in their property compared to even a year ago. Having practiced real estate in Squamish for over 25 years I have been through some strong markets and also through some very weak and difficult ones. I certainly can say however, that I have never seen a market quite like this before! Have any questions or comments about the Squamish real estate market? 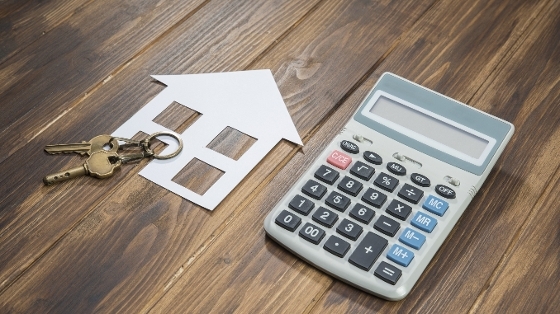 Want to find out what your home may be worth? Contact me today and find out more.